When autonomous cars begin to overtake driver-controlled cars, what will we do with all that free commute time that we used to spend watching the road? 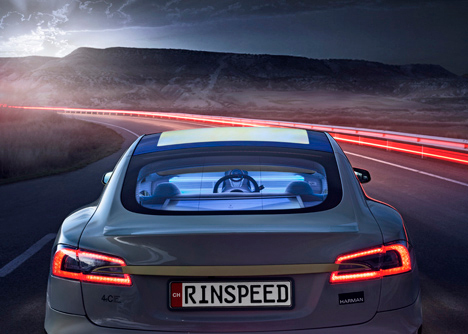 Think tank Rinspeed developed a futuristic concept car that they think will define the future of auto-pilot vehicles. Called the ExchangE, the car was modified from a Tesla Model S sedan and fitted with the type of special amenities that you might expect to see in an airplane today. Once you put the car on autopilot, the steering wheel pulls away so you can sit back and pull out a desk for working or watching movies on your laptop. 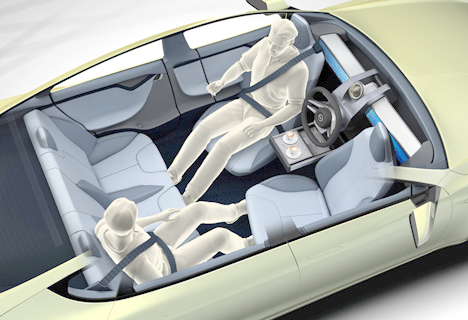 There are two small screens in front of the driver’s and passenger’s seats, along with a larger screen that spans the length of the dashboard. This large screen conveys information about the journey like gas levels and time remaining until the car reaches its destination. Twenty different seating configurations – including a flat position that lets you catch a bit more sleep before arriving at work – allow both driver and passenger(s) the freedom to move around. 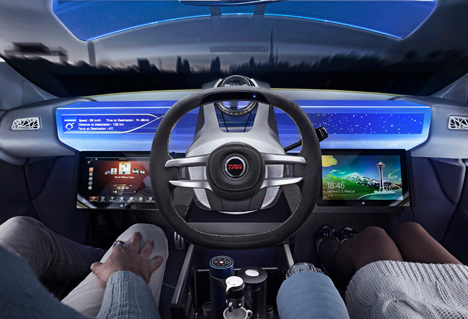 The gesture-controlled entertainment system in the rear of the car features a 32″ wide screen for on-demand movies and TV. 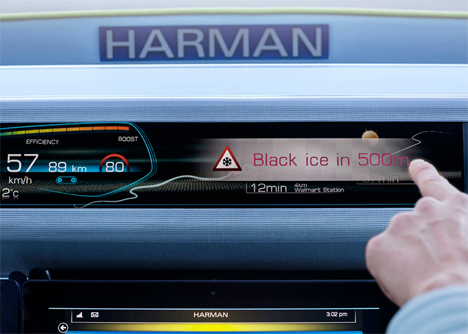 A built-in wireless 4G system will keep drivers aware of construction or dangerous conditions ahead. Luxurious textiles for the floors and seats would make for a fantastically comfortable ride. 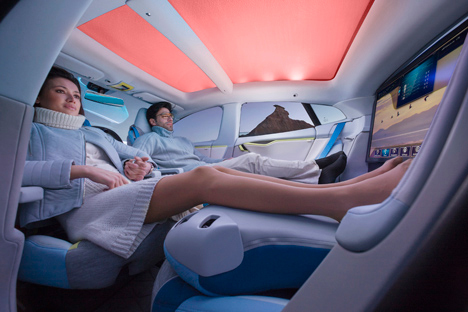 We don’t expect to see driverless cars become the norm for quite some time, but when they do, we really hope they’re as comfortable and high-tech as this one. 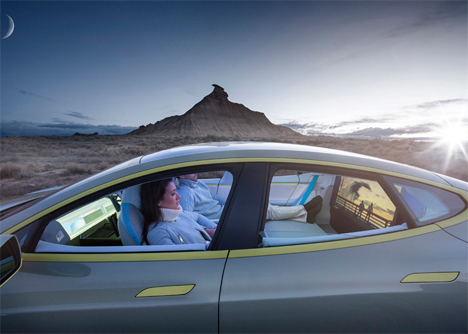 See more in Concept Vehicles or under Transportation. March, 2014.